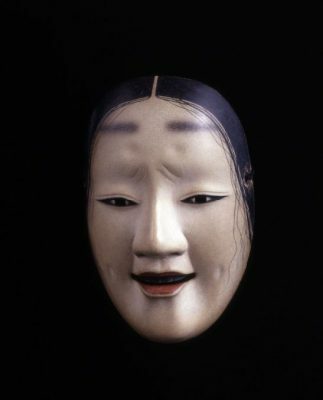 Masks are one of the most characteristic elements of Noh Theatre. Designated as Intangible Cultural Heritage by UNESCO, commonly called World Heritage, in 2001, Noh Theatre has been developing and maintaining an elaborate theatre form since its establishment in the 14th century. 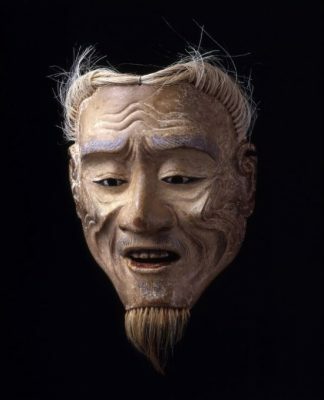 The unique use of masks in Noh results not only in physical changes in the facial appearance of the actor, but also an actual change in the reality of the whole fiction, which can be much larger than life and profoundly spiritual. In far more than half of the Noh plays the main characters are ghosts. Gods and goddesses are conjured on stage not as deus ex machina, but as the main characters. Spirits of plants and animals can be the leads. A large portion of the stories is based on the great classic literature, such as The Tale of Genji and The Tale of Ise, and epic legends of warlord samurai. 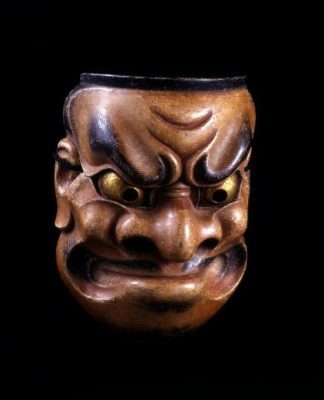 The Noh masks connect us to the mythical world and we can embrace the reality of the magic and grandeur of these god-like characters. The masks are surprisingly small, not completely covering the actors’ faces. The masks are placed high on the actor’s face, towards the forehead, like a symbol of the character. The performer’s view through the eyeholes is so limited that actors can only mark their own positions by viewing the four pillars at the corners of the stage. 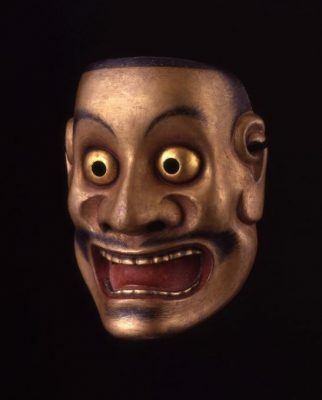 These facts can make the Noh masks seem dysfunctional, but these are all a result of the mask’s function being to build a myth for whole theatre rather than only assisting the wearer to be in character. At a first quick look, the masks seem motionless: However, on stage subtle changes in the angle of the mask can suggest a range of emotions, such as anger, joy, and sadness. In this exhibition, the stage photo and the close-up of the mask are paired. 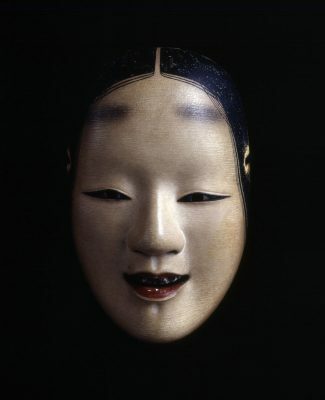 Photographer Yoshiaki Kanda (1937–) specializes in Noh Theatre and has been following performances at the Yokohama Noh Theatre since its inaugural opening in 1996. We invite you to the universe of Noh Theatre through the images of masks in action and in details.